Traded on the SIX Swiss Exchange on the symbol LAND since 2017, Landis+Gyr's Board of Directors is appointed by our shareholders to help steer the company toward continued advancement in energy management solutions. In accordance with organizational regulations, this Board includes both an Audit and Finance Committee and a Remuneration Committee. Landis+Gyr follows the highest principles of business ethics and conduct, which we expect our employees and suppliers to follow as well. We stand in sharp but fair competition with our competitors in a transparent and ethical manner at all times. For more information about our business philosophy. Our Board of Directors is responsible for keeping the company at the forefront of advanced energy management solutions. Under their guidance, Landis+Gyr will continue to be a globally recognized leader in an ever-changing industry. Andreas Umbach, Chairman, is a Swiss and German citizen, born in 1963. Mr. Umbach has been the non-executive chairman of Landis+Gyr Group AG since the Company’s IPO in July 2017. From April 2017 until the IPO in July 2017 Mr. Umbach acted as executive chairman of the board of directors of Landis+Gyr AG, the operating subsidiary of the Company. Between 2002 and 2017 he served as President and CEO/COO of Landis+Gyr Group. Prior to serving as CEO, Mr. Umbach served as President of the Siemens Metering Division within the Power Transmission and Distribution Group and held other positions within Siemens. Mr. Umbach has been the chairman of the board of directors of SIG Combibloc Group AG (SIX: SIGN) since its IPO in September 2018. Since 2010 he has been a director of Ascom Holding AG (SIX: ASCN) and its chairman of the board since 2017. The chairmanship of this company will cease on April 10, 2019. Mr. Umbach also holds directorships at non-publicly listed companies. He has been a board member of WWZ AG since April 2013 and has been the chairman of the supervisory board of Techem Energy Services GmbH since August 2018. Between 2012 and 2016 Mr. Umbach was a director at LichtBlick SE. He has been the president of the Zug Chamber of Commerce and Industry since 2016. Mr. Umbach holds a Master of Business Administration from the University of Texas at Austin and a Master of Science (Diplom-Ingenieur) in Mechanical Engineering from the Technical University of Berlin. Eric Elzvik, Lead Independent Director and Chairman of the Remuneration Committee, is a Swiss and Swedish citizen, born in 1960. He has been a member of the Board of Directors since 2017. Mr. Elzvik also currently serves as board member of AB Volvo, board member and chairman of the audit and compliance committee at LM Ericsson Telephone Company, board member of Fenix Marine Services, board member of VFS Global, and member of the board of the CFO Circle Switzerland. Between 2013 and 2017, Mr. Elzvik served as Chief Financial Officer and Member of the Group Executive Committee of ABB Ltd. Prior to his role as CFO of ABB, Mr. Elzvik served as Division CFO ABB Discrete Automation & Motion (2010-2013) and division CFO Automation Products Division (2006-2010) at ABB Ltd, Zurich. Earlier in his career, Mr. Elzvik had various positions within the ABB Group beginning 1984, including senior management positions within finance, mergers & acquisitions, and new ventures. He has also served as a member of the board of the Swiss Swedish Chamber of Commerce and on the foundation board of IMD Foundation. Mr. Elzvik holds a Master of Business Administration (Civilekonom), Stockholm School of Economics, Sweden. Dave Geary, Independent Member, is a US citizen, born in 1955. He has been a member of the Board of Directors since 2017. Mr. Geary founded DJGeary Consulting, LLC in 2016. Mr. Geary has an international management background and extensive experience in the telecom industry and has previously served as Executive Vice President Business Integration at Nokia Networks (2016), following the acquisition of Alcatel-Lucent by Nokia Networks. Prior to this, he was the President of the Wireless Networks business at Alcatel-Lucent and was also the President of Wireline Networks. Prior to the Alcatel-Lucent merger, Mr. Geary held several senior leadership positions within Lucent Technologies and AT&T Network Systems. Mr. Geary holds a Bachelor of Science degree in Electrical Engineering from Bradley University and a Master of Business Administration in Finance from Northwestern University – Kellogg School of Management. Pierre-Alain Graf, Independent Member, is a Swiss citizen, born in 1962. He has been a member of the Board of Directors since 2017. Mr. Graf also currently serves as member of the board of directors of Broadband Networks AG and of Leclanché SA. He is a Senior Vice President of ABB Ltd. Prior to this, Mr. Graf served as CEO of Swissgrid, chairman of the TSC – TSO Security Cooperation and as General Manager at Cisco Systems Switzerland. Mr. Graf holds a Master of Law from the University of Basel and a Master of Business Administration from the University of St. Gallen (HSG). Mary Kipp, Independent Member, is a US citizen, born in 1967. 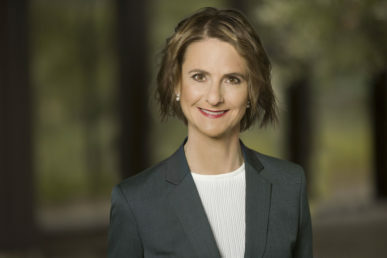 She has been a member of the Board of Directors since June 2018. Ms. Kipp currently serves as President and Chief Executive Officer of El Paso Electric Company (NYSE:EE) and has held various positions at El Paso Electric Company before including General Counsel and Chief Compliance Officer. Prior to this Ms Kipp was Senior Enforcement Attorney at the Federal Energy Regulatory Commission (FERC) Office of Enforcement. She holds a Bachelor of Arts from Williams College in Massachusetts and a Juris Doctor degree from the University of Texas School of Law. Peter Mainz, Independent Member, is an Austrian citizen, born in 1964. 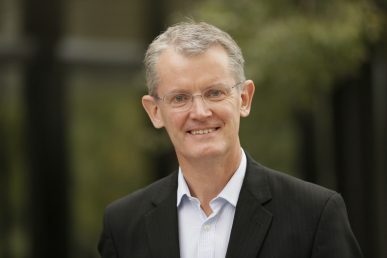 He has been a member of the Board of Directors since June 2018. Mr. Mainz has been a Board member of Itron. Prior to this he served as President and CEO of Sensus and held other positions at Sensus including Executive VP of Operations and CFO. Earlier in his career he was in various positions at Invensys including VP Finance Metering Systems Division and was a controller at Schlumberger. He holds a Bachelor in Business Administration and Computer Science from the Johannes Kepler University Linz and an MBA from the Texas A&M University. Andreas Stanley Spreiter, Independent Member and Chairman of the Audit and Finance Committee, is a Swiss and British citizen, born in 1968. He has been a member of the Board of Directors since 2017. Mr. Spreiter also currently serves as a member of the board of directors of Reichle & De-Massari Holding AG, where he is chairman of the audit committee. Mr. Spreiter served as Group CFO and Member of the Executive Board of Forbo from January 2013 until May 2017. Prior to this, between 1993 and 2012, Mr. Spreiter worked at Landis+Gyr/Siemens Metering, first as a Business Unit Controller/Head of Finance & Controlling (1993-2000), then as Business Unit Head Digital Meters/Head of Center of Competence Electronic Meters (2000-2002) and then as Group CFO (2002-2012). Mr. Spreiter holds a Master of Industrial Engineering from the Swiss Federal Institute of Technology (ETH). Christina Stercken, Independent Member, is a German citizen, born in 1958. She has been a member of the Board of Directors since 2017. Ms. Stercken currently is a member of the board of directors of Ascom Holding AG, Switzerland and of Ansell Ltd., Australia. Ms. Stercken is also the Vice Chairman of Myanmar Foundation, a nonprofit organization for social projects in Myanmar. Until the end of 2017 she was a partner in EAC- Euro Asia Consulting PartG. Before joining EAC, Ms. Stercken served as Managing Director Corporate Finance M&A of Siemens AG. Among other management positions within Siemens AG, she was responsible for the Siemens Task Force China, Beijing, and Head of Public Sector Business Unit at the former Siemens Business Services. She started her career with BMW Pvt. Ltd., South Africa. Ms. Stercken holds a Diploma in Economics from the University of Bonn and an Executive MBA from Duke University, North Carolina, USA. Landis+Gyr has the broadest portfolio of energy management products and services in the world. To ensure successful delivery to our clients all over the globe, we have a highly experienced team of industry lifers overseeing our operations. Our Group Executive Management is responsible for the financial and operational aspects of the business, as well as the efficiency of the corporate structure and organization. Members are appointed by the Board of Directors and are integral to the delivery of our products and services to utility companies around the world. Richard Mora, CEO, is a US Citizen. Mr. Mora has been with the Company 18 years joining in 1999 and was appointed CEO as of April 3, 2017. Richard Mora, CEO, is a US Citizen. Mr. Mora has been with the Company 18 years joining in 1999 and was appointed CEO as of April 3, 2017. Prior to this, Mr. Mora served as COO of the Group beginning in November 2013 and between 2008 and 2011 served as Executive Vice President and Head of North America and between 2011 and 2013 served as Executive Vice President and Head of the Americas. 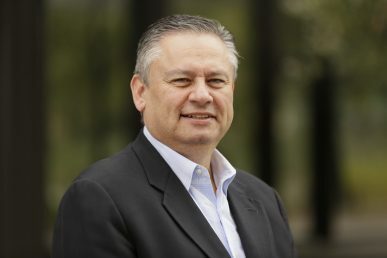 Prior to joining Landis+Gyr, Mr. Mora held various management positions within the Siemens group, including CEO of Siemens Metering, Inc., and Director of Quality for Siemens Power Transmission & Distribution, and at GE Capital, including as a Manager of Quality and leading process and productivity improvements. Mr. Mora currently serves as a member of the board of directors of Enphase (since 2014). Mr. Mora holds a Bachelor of Arts degree in Economics from Stanford University. Jonathan Elmer, CFO, is a British citizen. Mr. Elmer was appointed Executive Vice President and CFO in August 2012. Jonathan Elmer, CFO, is a British citizen. Mr. Elmer was appointed Executive Vice President and CFO in August 2012. Prior to becoming CFO, Mr. Elmer held various financial and management positions within Landis+Gyr, being CFO of our EMEA region between 2009 and 2012 and Executive Vice President and Chief Executive Officer of Landis+Gyr’s then existing UK/Prepayment region between 2004 and 2008. Between 1996 and 2004 he served as Finance Manager and then CEO of Ampy Metering Ltd. (a company acquired by Bayard Capital in 2003 which then became part of the Group upon Bayard Capital’s acquisition of Landis+ Gyr in 2004). Mr. Elmer holds a degree in Economics and Politics from the University of Exeter and is a member of the Institute of Chartered Accountants in England and Wales. Prasanna Venkatesan, Head of Americas, is a US citizen. Mr. Venkatesan joined the Company in 2007 and was appointed Executive Vice President and Head of Americas in 2014. Prasanna Venkatesan, Head of Americas, is a US citizen. Mr. Venkatesan joined the Company in 2007 and was appointed Executive Vice President and Head of Americas in 2014. 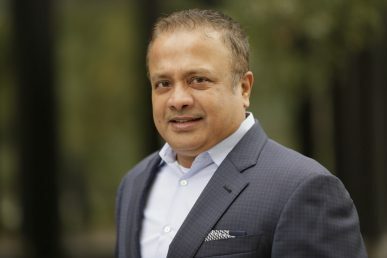 Prior to his current role, Mr. Venkatesan served for three years as Senior Vice President & General Manager Systems & Services at Landis+Gyr North America and five years as Senior Vice President Research & Development for Landis+Gyr since 2008. Between 2006 and 2007, he held various positions at Cellnet Technology, Inc. (acquired by Landis+Gyr in 2007), including Vice President of Research & Development leading the integration process of Cellnet into Landis+Gyr. He also held several senior level engineering and operations management positions at Schlumberger, including as Technology Center Manager, where he was involved in technology development, manufacturing and supply chain operations. Mr. Venkatesan currently serves as member of the board of directors of Advanced Energy Economy since 2015, a national association of business leaders who are making the global energy system more secure, clean, and affordable. Mr. Venkatesan holds a Master of Science degree in Industrial Engineering from the University of Oklahoma. Susanne Seitz, Head of EMEA, is a Swiss citizen. Ms. Seitz joined the Company in November 2018 and was appointed Executive Vice President and Head of EMEA. Susanne Seitz, Head of EMEA, is a Swiss citizen. Ms. Seitz joined the Company in November 2018 and was appointed Executive Vice President and Head of EMEA. Prior to this she spent 15 years in various management positions with Siemens Building Technologies, including SVP Europe North, SVP Systems & Solutions and VP Enterprise Security. Earlier in her career she worked for BT&T Asset Management in corporate communications and as a project manager with Ernst Basler and Partners. Ms. Seitz holds an MSc in Environmental Engineering from ETH Zurich and an Executive MBA from the University of St Gallen. For information about investing with Landis+Gyr, contact us today.